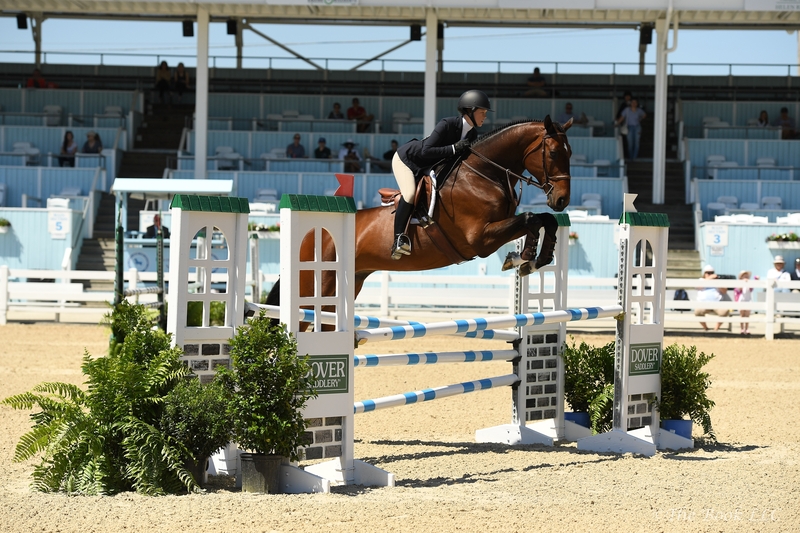 Daisy Farish, the current east coast leader in the Lindsay Maxwell Charitable Fund WIHS Equitation Finals rankings, and Capital Hamilton competing at the Devon Horse Show this spring. With four months remaining before the 60th anniversary Washington International Horse Show (WIHS), running October 23-28 at Capital One Arena in downtown Washington, D.C., top spots in the championship event rankings have been changing hands during spring competition from coast to coast. Qualifying events for the WIHS championships are held at more than 650 horse shows in North America. Riders who earn the most points throughout the year are eligible to compete in the WIHS Championship Finals, which include the $10,000 WIHS Children's Hunter Championship, $10,000 WIHS Children's Jumper Championship, $10,000 WIHS Adult Hunter Championship, $10,000 WIHS Adult Jumper Championship, the Lindsay Maxwell Charitable Fund WIHS Equitation Finals, and WIHS Pony Equitation Finals. New leaders include Daisy Farish of Lexington, KY, for the East Coast and Violet Barnett of San Francisco, CA, for the West Coast as anticipation heats up for the Lindsay Maxwell Charitable Fund WIHS Equitation Finals. Additionally, after five months of qualifying, both Lauren McCaulley of Lake Charles, IL, aboard Umano de la Ruche and Lindsey Tomeu of Wellington, FL, riding Gold Lux have dominated the jumper ranks each month. As the summer competition season kicks off, WIHS congratulates all of the top competitors in the WIHS rankings as of June 11, 2018. With six months remaining in the qualifying period, which ends August 31, there is still plenty of time to qualify for the 60th Anniversary WIHS. Riders must be active WIHS members in order for points to count. Membership can be obtained here: www.wihs.org/membership. Don't miss the chance to qualify for the WIHS Championships! WIHS looks forward to hosting the best horses and riders from around the nation in 2018 and encourages all riders to continue their drive to qualify. The qualifying period runs from shows starting on or after September 1, 2017, through shows starting on or before August 31, 2018. For more information or to sign up to earn points for the WIHS Championship Finals, visit www.wihs.org/membership. For a complete list of current rankings, visit www.wihs.org/wihs-rankings/. For more information on WIHS, please visit www.wihs.org, join us on Facebook, and follow us on Twitter, Instagram, YouTube, and Snapchat. Tag us using #WIHSTurns60, #WIHS2018 #HorsesInTheCity, #FEIWorldCup, and #Longines.